avatar is a performance-art based video game that explores the ways we construct ideas of ourselves in virtual spaces. I created three online avatar self-portraits of myself. 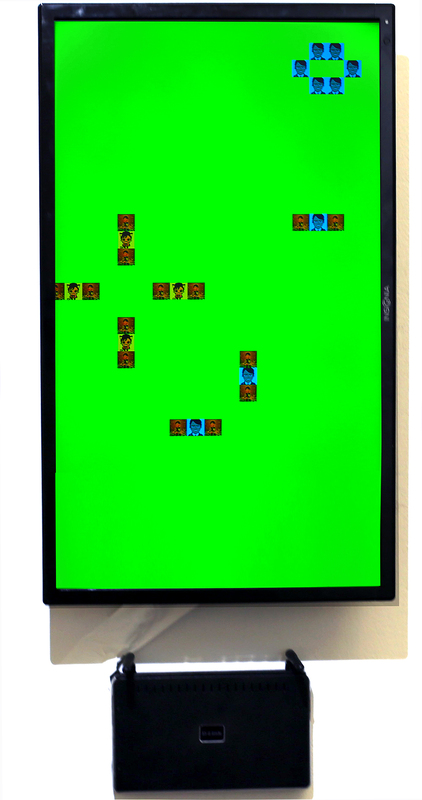 These avatar images are then used in a program running a simple artificial life model (Conways Game of Life). In accordance with the rules of the artificial life model, the avatars reproduce and grow as cells, consume or are consumed by nearby avatar cells, age and die. The player can change the environmental conditions the avatar cells exist in for different outcomes.